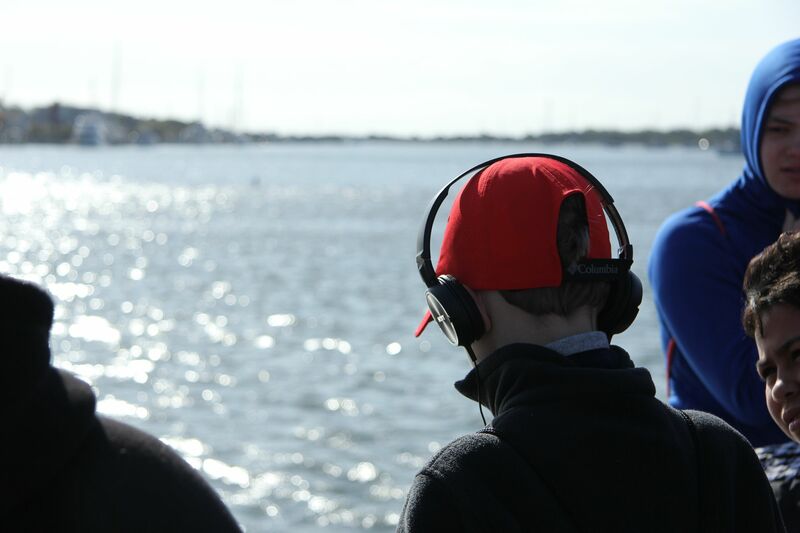 On, April 17th, 164 Morehead City Middle School 6th grade students and their teachers and chaperones descended on the Duke Marine Lab for a day of learning about Sound in the Sea. The motivation behind Sound in the Sea Day was to give students outside the classroom experiences that connect to inside the classroom concepts, to give students the time to listen to their surroundings, to promote interest in the STEM fields and to give students the opportunity to use technology used in acoustics research they otherwise wouldn’t get the chance to use. Our learning objectives for the day were to have students be able 1) to explain the importance of sound for marine animals, 2) to collect and analyze acoustic recordings, 3) to demonstrate the technology used in passive acoustics research and 4) to discuss noise pollution as it relates to marine mammals. 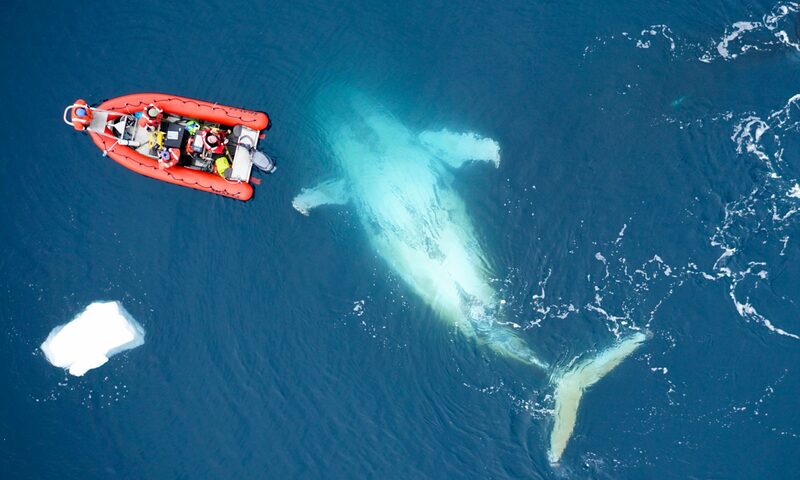 Our activities and exercises were organized around these objectives and featured a trip on the Research Vessel Susan Hudson, videos from students and faculty at the lab, activities on noise pollution and spectrogram analysis and experience recording off the docks. The materials, equipment and time on the ship for Sound in the Sea Day were funded by the Duke Science Education Center and Dr. David Johnston.